Child manikin for training in high-quality CPR. The Laerdal Resusci Junior QCPR training manikin will help to improve an individual's skills and to boost team performance. Resusci Junior QCPR allows students to prepare as accurately as possible to save a child’s life. Laerdal's QCPR Technology is designed to enable both instructors and trainees to monitor and review CPR performance more effectively, which increases efficiency and promotes the value of training time. 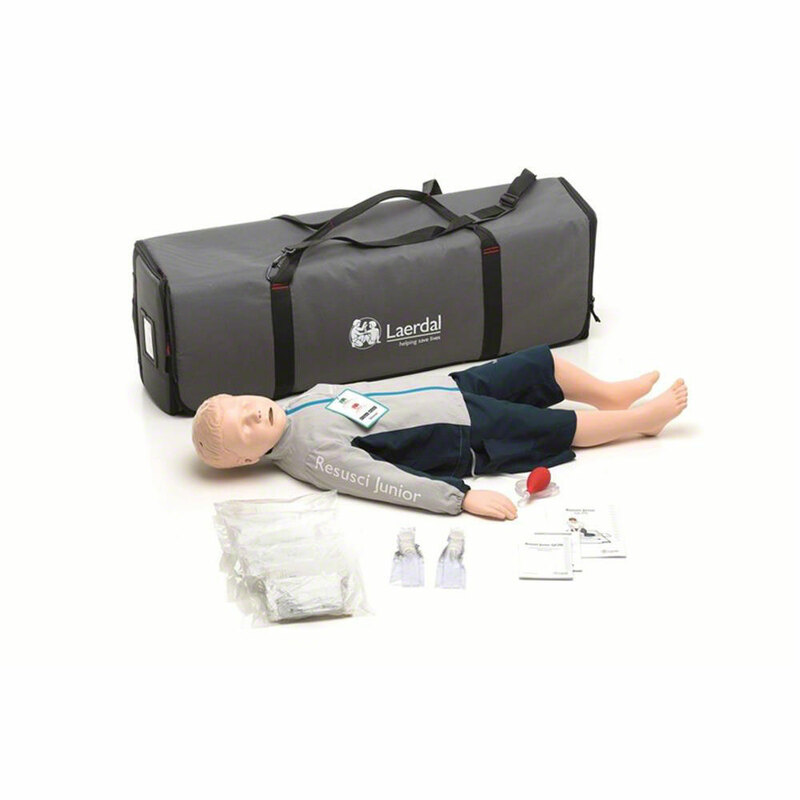 Laerdal has consulted with pediatric experts experienced in child CPR which ensures realistic resistance when compressing and appropriate chest rise during ventilations.